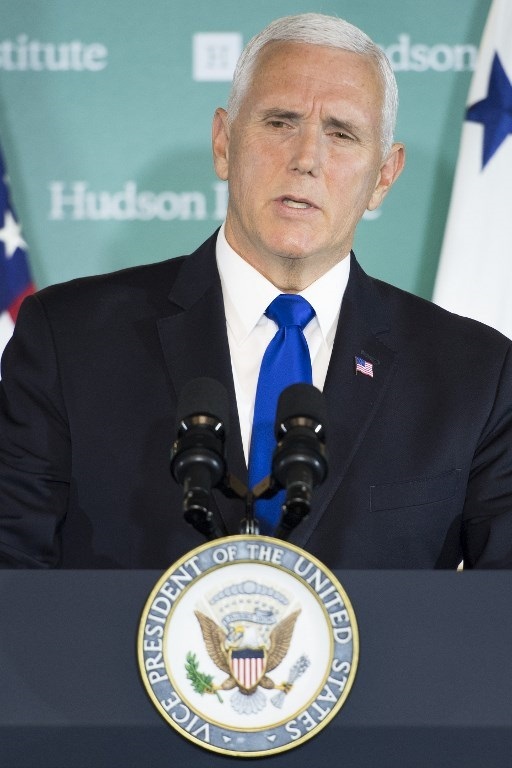 TOKYO –Japan and the United States will negotiate a bilateral trade agreement that will serve as a "model" for other countries, US Vice President Mike Pence said Tuesday in Tokyo. Speaking after talks with Japanese Prime Minister Shinzo Abe, he reiterated Washington's position that US businesses have faced unfair obstacles in Japan. "The United States has had a trade imbalance with Japan for too long. American products and services too often face barriers to compete fairly in Japanese markets," he said, standing alongside Abe. "The best opportunity for free, fair and reciprocal trade will come in a bilateral trade agreement. "Abe and US President Donald Trump agreed in September to negotiate a trade pact, easing fears that Japan could be next in line in the White House's tariff offensive. "When completed we're confident that this agreement will establish terms on goods and services," Pence said. "The coming US-Japan trade agreement will be a model for the Indo-Pacific. "The United States and Japan, the world's first and third largest economies, together make up about 30 percent of global GDP and have long had trade ties that are both fractious and interconnected. Under Trump's predecessor, both countries were part of the broad deal known as the Trans-Pacific Partnership (TPP), which was intended to serve as a bulwark against growing Chinese influence. But Trump withdrew from the multilateral trade agreement shortly after taking office, and has been vocal about his preference for bilateral deals negotiated on terms more favourable for Washington.Abe had hoped to see Washington return to the TPP, but agreed to the negotiations -- expected to begin in January -- as Trump upped the ante against other trading partners. Pence was in Tokyo on a brief stop before attending several regional summits, including the ASEAN meeting in Singapore and APEC talks in Papua New Guinea. Trump's decision to skip the meetings has raised eyebrows in some quarters, and prompted questions about Washington's commitment to the region, where China is increasingly influential.